The monetary policy committee’s 25 basis point rate cut, announced on Thursday, is expected to rub off positively on interest rate sensitives. While the impact on different sectors is expected to be varied, key beneficiaries may include auto, consumer durables and non-banking financial companies (NBFCs). Pankaj Murarka of Renaissance Investment Managers said that the rate cut will help revive demand in sectors such as auto, which has been sluggish due to rising fuel prices, higher rates and higher product costs. While two wheeler and passenger vehicle demand should see an uptick over the next couple of months, a rebound in commercial vehicle sales would happen once the investment cycle and consumption picks up. It is not surprising that even though the markets were flat, auto stocks gained between 1 and 6 per cent. Given the structural pain in the realty segment, gains in the sector would take some time and is linked to job creation and overall growth. G Chokkalingam, founder and MD of Equinomics Research, believes lower interest rate benefits may not help sectors like realty, given the sluggish conditions and muted demand. One of the major gainers from the policy could be NBFCs. The rate cut would help most NBFCs, given their higher share of banking credit in the liability mix. Those that are better rated and focused on consumer segments should get an additional boost. This is due to the Reserve Bank of India’s (RBI’s) decision to lower the risk weights from the current 100 per cent for banks lending to most NBFCs. Stocks of many such NBFCs such as Manappuram Finance, Muthoot Finance, and MAS Financial Services, among others, gained 7-8 per cent on Thursday. These firms have above investment grade rating by ICRA. The monetary policy has supplemented the interim Budget announced on Friday last week, that played on the consumer theme. “Monetary policy adds to the fiscal stimulus of Rs 1 trillion in the Union Budget and would boost consumption demand. We are positive on consumer finance companies,” said Gaurav Dua, head of research at Sharekhan. This should cover the loan books of companies in this segment. For instance, the consumer segment accounted for 40 per cent of Bajaj Finance’s total assets under management as of December 2018. The lower risk weight would be an added benefit for these NBFCs as they would now have 20-50 per cent risk weight against 100 per cent earlier, said analysts at Edelweiss Securities. As for other asset and infrastructure-related finance companies, risk weights were already linked to their rating profile. The lower risk weight should help free up banks’ capital, helping them to lend more. “With the risk weight lowered for a certain category, banks will require to provide less capital. This allows them to increase their lending to these NBFCs within their overall NBFC limits,” said Prakash Agarwal, head – BFSI – at India Ratings. This would also get support from the central bank’s decision to increase banks’ lending limit to NBFCs (other than infrastructure financiers) from 10 per cent to 15 per cent in October last year. 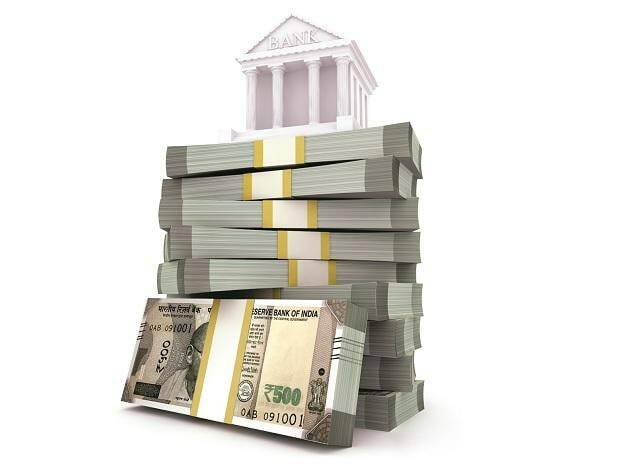 The RBI’s data shows that even after a sharp 55 per cent year-on-year rise in banking credit to NBFCs as of December 2018, the latter’s share in total bank loan stood at 7 per cent. This indicates further room to improve the credit flow to NBFCs. However, it does not mean that risky NBFCs would benefit from this. Also, after the IL&FS saga, how the banks assess credit risk would also be the key. Also, according to Agarwal, these NBFCs should also benefit on interest rate from banks based on their credit ratings and banks’ internal assessment.